Online data privacy is a major concern for consumers and governments alike. This week the fitness app Strava, used by millions to track their sports activities, released a global "heat map" showing how their users move about. The heat map quickly became a hot topic for security experts, as the map can be used to identify secret military bases around the world. Governments around the world are now re-evaluating policies regarding the use of smartphones by army personnel. Or at least they should. The Strava map can also be used to find popular treks, bike trails, and other popular routes in various areas. 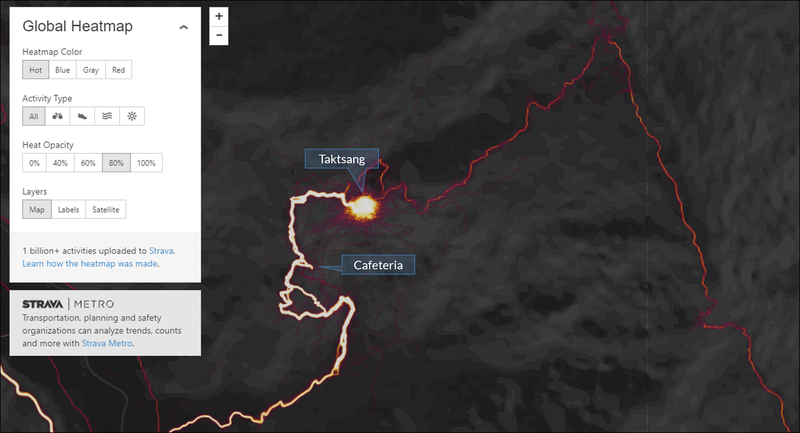 For example, here is a zoom into the Tiger's Nest area, arguably Bhutan's "hottest" tourist destination. We can see that hikers often detour to the cafeteria -- probably on the way up. One can also see some shortcuts that people are taking. 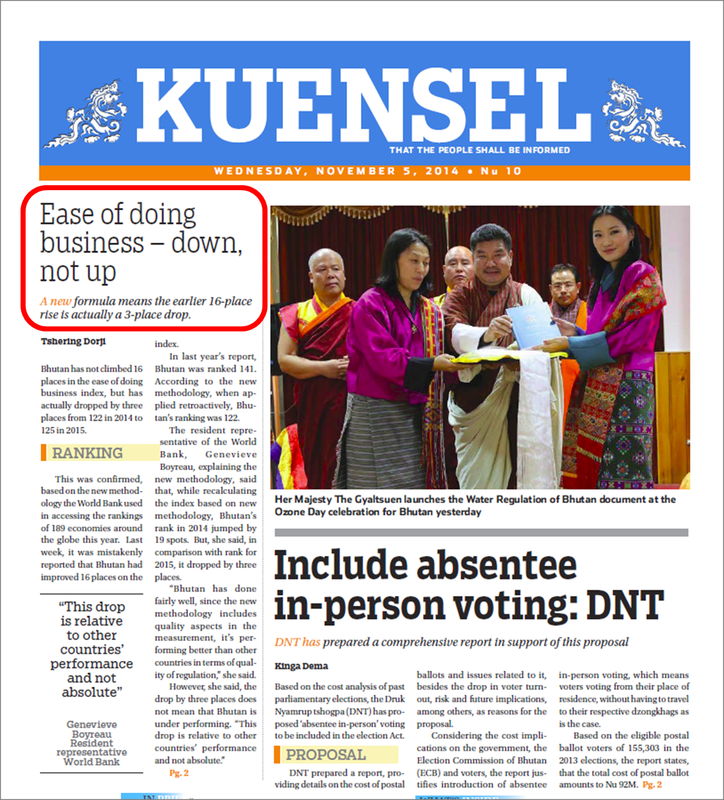 And there's an alternative route that reaches Taktsang from the North-East. Here's a map of all Bhutan. Can you locate trails that follow the Druk Path? The notorious Snowman Trek? To play around and zoom in on your favorite locations, click here.